East Anglia Art Fund Dubery & Brogden Scholarship winners of 2018/19. The Dubery and Brogden scholarship was established at Norwich University of the Arts in September 2016, following a substantial bequest made to the East Anglia Art Fund (EAAF) from the Estate of artists Fred Dubery and Joanne Brogden. This money has enabled EAAF to provide scholarships worth £2,500 to undergraduate and postgraduate students studying Fine Art, Fashion, Illustration and Textile Design. Acknowledging emerging talent and responding to financial need, these scholarships make a significant contribution towards study at NUA for a number of students. Eligible students were invited to apply in September 2018, and had their UCAS statements or submissions reviewed by Amanda Geitner, Director of EAAF, and Angela Dunn, Administrator of EAAF. 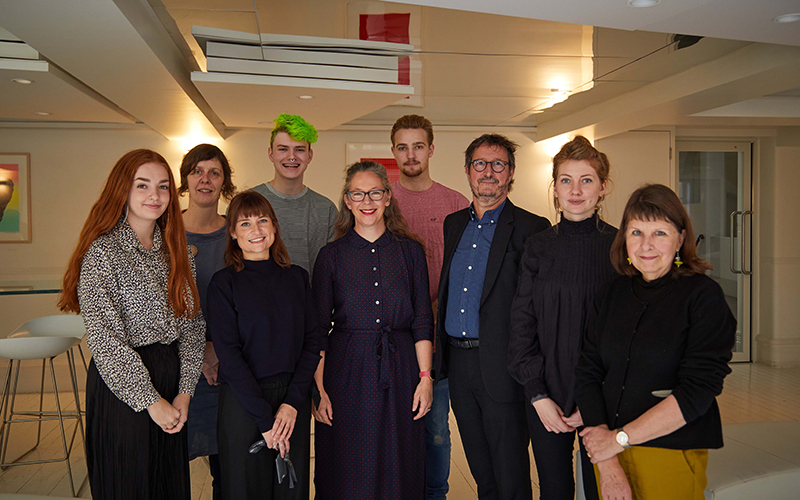 Amanda and Angela were delighted to confirm that the 2018/19 winning students are Charles Mead from BA (Hons) Fashion, Faith Madden from BA (Hons) Textile Design, Rona Springham from BA (Hons) Illustration and Tom Browning from MA Fine Art. Find out more about NUA’s Scholarships and Awards.